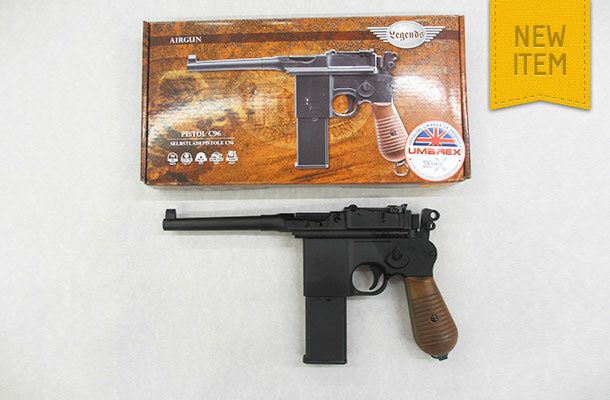 This offering from the “Legends” Company is the long awaited copy of a broomhandle Mauser. The magazine holds 18 x 4.5mm steel BBs and the muzzle velocity is up to 125 M/S (400feet per second). Using the 12 grm CO2 cylinder it features a blowback action.